Razor burn can cause a lot of discomfort. Fortunately, you can get rid of it quickly using natural home treatments. Here are the top 10 ways to get rid of razor burn fast. Wrap a few ice cubes in a thin towel. Simply place the towel on the affected area for a few minutes. Alternatively, you can soak a cloth in cold water and place it on the affected area for a few minutes. Repeat either of these treatments several times a day as needed. 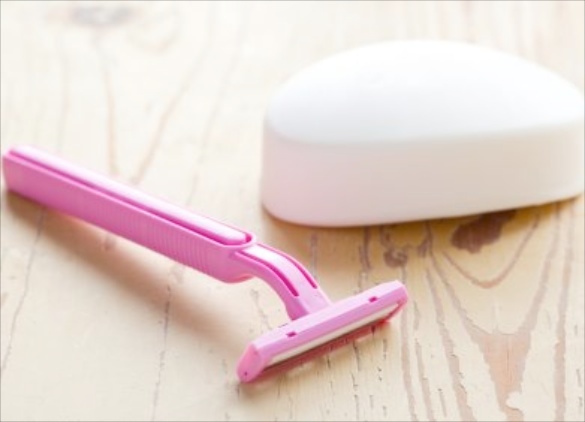 To prevent razor burn, try splashing with cold water on your skin immediately after shaving. Razor burns can be treated quickly with apple cider vinegar. Its anti-inflammatory properties work to reduce inflammation as well as the itching sensation. Plus, the acetic acid in apple cider vinegar helps prevent infection. 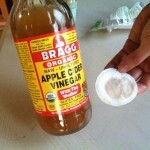 Dab a cotton ball in apple cider vinegar and apply it on the affected area. Allow it to air dry, and then wash it off with water. Do this two or three times a day until the burning sensation stops. 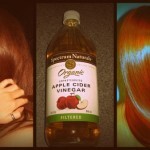 Note: Those who have sensitive skin must dilute apple cider vinegar with water before applying it. Aspirin is another easy and simple way to get rid of razor burn very quickly. The anti-inflammatory property of aspirin helps reduce redness and inflammation. Put two aspirins in one teaspoon of warm water. Let it sit for some time, until it turns into a paste. Rub the paste on the affected skin. Leave it on for 10 minutes, and then wash it off with lukewarm water. Use this simple treatment twice a day to get rid of the discomfort. It will also help you get rid of razor bumps. Note: Those with highly sensitive skin should not use this remedy. Aloe Vera is another great choice for soothing razor burn. The soothing as well as cooling nature of Aloe Vera will give you instant relief from the burning sensation and inflammation. Also, aloe vera will keep the skin moisturized, which speeds up the healing process. Extract fresh Aloe Vera gel from an Aloe Vera leaf. Rub the gel on the affected skin. Allow it to dry on its own, and then rinse it off with cold water. Follow this treatment two or three times daily for two to three days. The black tea bags that you use to make yourself a cup of tea can also help get rid of razor burn. The tannic acid in tea helps reduce redness and inflammation. Moisten a black tea bag in warm water. Allow the tea bag to cool or put it in the refrigerator for five to 10 minutes. Rub the cool tea bag over the affected area for two to three minutes. Repeat several times daily as needed. Known for its antibacterial properties, honey can also be used to treat razor burn quickly. It can reduce swelling and inflammation, as well as keep the skin moisturized. 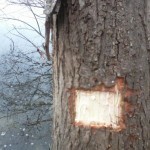 Plus, honey can prevent the area from becoming infected. Apply some honey directly on the irritated skin. Allow it to air dry and rinse it off with cold water. Alternatively, you can mix together one-half teaspoon of honey and one-tablespoon of plain yogurt. Apply this mixture on the affected area, allow it to sit for 15 minutes, and then rinse it off with lukewarm water. Use either of these treatments three or four times a day for as long as needed. Another old-fashioned home treatment for razor burn is baking soda. Due to its anti-inflammatory properties, baking soda has a soothing effect on the skin. Plus, it helps relieve itching and reduces redness. Mix one tablespoon of baking soda in one cup of water. Soak a cotton ball in this solution and apply it on the affected skin. Leave it on for about five minutes, and then rinse with cool water. Repeat two or three times daily as needed. The hydrating and anti-inflammatory properties of cucumber help deal with razor burn symptoms quickly. Plus, cucumber contains vitamins C and K, two important ingredients for relieving pain and itchiness. Slice a fresh cucumber and put the slices in the refrigerator for 30 minutes. Rub the cool cucumber slices gently on the razor burn for 10 minutes at a time. Repeat at regular intervals until the skin heals. Alternatively, puree half of a cucumber and mix it with one-quarter cup of milk. Put the mixture in the refrigerator to cool. Apply it on the affected area. Leave it on for about 10 minutes, and then rinse it off with warm water. Use this treatment twice daily for two days. Being rich in antibacterial, antiseptic and anti-inflammatory properties, tea tree oil is another good choice for getting rid of razor burn quickly. Add five drops of tea tree oil to two tablespoons of water. Apply this diluted solution on the affected skin. Leave it on for 10 minutes, and then rinse with lukewarm water. Do this twice daily as needed. Alternatively, you can add two or three drops of tea tree oil to one tablespoon of olive oil, apply it on the irritated skin and leave it on for 10 to 15 minutes before rinsing it off. The soothing and anti-inflammatory properties of oatmeal will help alleviate inflammation and skin irritation to reduce the discomfort of razor burn. Mix equal amounts of finely ground oatmeal and plain yogurt, and then add a little honey. Apply this mixture on the affected area. Leave it on for about 30 minutes, and then rinse it off with lukewarm water. Use this treatment once or twice daily for two to three days. As prevention is better than a cure, try to shave after taking your bath or shower, use a good quality shaving cream and follow proper shaving technique.